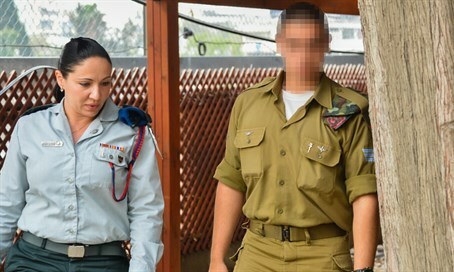 Military court denies prosecution's appeal, soldier who shot terrorist dead will remain under "house arrest" on military base. The military court on the Kirya army base in Tel Aviv denied the prosecution's request regarding the remand of the IDF soldier who shot a seemingly neutralized terrorist dead in Hevron. The court decided that the soldier will not return to the full terms of his arrest, but rather will remain under open "house arrest" on his army base. The military prosecution had appealed for the soldier to be returned to full prison conditions, in light of evidence on the case. The soldier has argued he shot the terrorist - who minutes earlier together with an accomplice stabbed and wounded a soldier - over concerns he was moving to detonate a bomb belt that was thought to be hidden under his unseasonably thick coat. That version of events was also vindicated by a Magen David Adom (MDA) investigative committee.